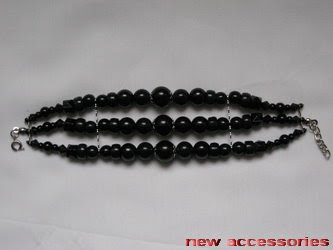 This black beaded bracelet is made with 12mm, 10mm, 8mm plastic beads, 10mm, 8mm, 6mm glass beads, 8mm, 6mm, 4mm crystal beads and seed beads. 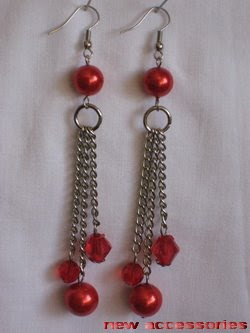 This red beaded earrings are made with 12mm, 10mm glass beads, 10mm, 8mm crystal beads, 8mm jump rings. One more from my older bead work. 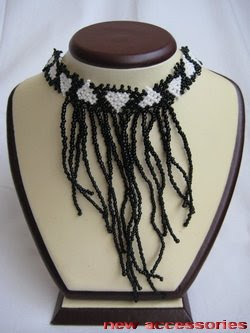 This seed bead necklace is made with 2mm black and white seed beads. Do you like this beaded model? 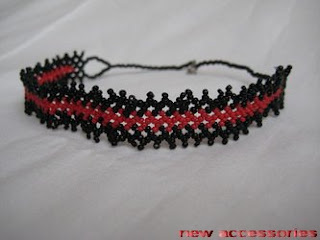 This is one of my oldest seed bead necklaces.It is made with 2mm black and red seed beads.Do you like this beaded model? Please leave a comment. This purple beaded necklace is made with 14mm, 12mm, 10mm, 8mm glass beads, 10mm, 8mm, crystal beads, seed beads, 8mm jump rings. 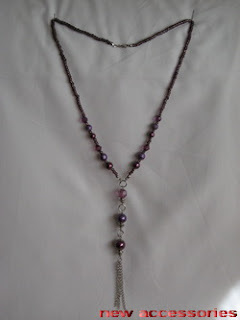 This silver beaded necklace is made with a lot of different beads. 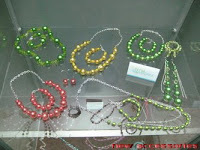 It is made with 14mm, 10mm, 8mm, 6mm plastic beads, 12mm, 10mm, 8mm, 6mm glass beads, 12mm, 8mm, 6mm, 4mm, 3mm crystal beads. 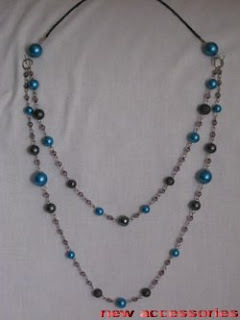 Very beautiful beaded necklace. 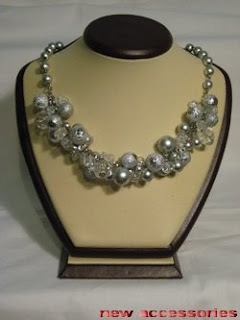 This is one of my older bridal beaded necklaces. 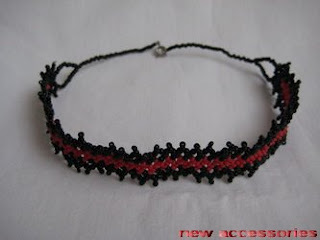 It is made with 6mm, 4mm, 3mm crystal beads and seed beads. 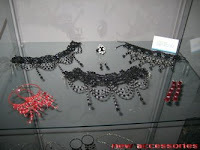 It is very beautiful beaded model. What do you think? 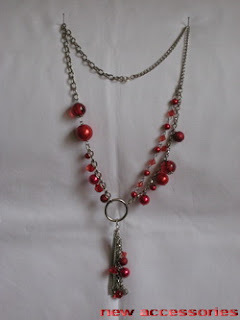 This silver beaded necklace is made with 16mm, 10mm glass beads, 14mm, 10mm plastic beads, 14mm jump rings. 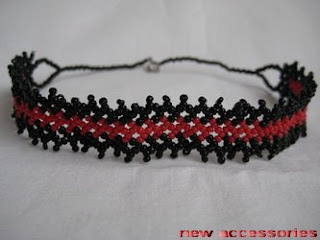 This is one of my older beaded models. 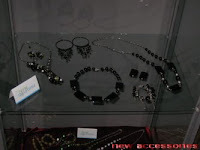 This black beaded necklace is made with 6mm, 4mm, 3mm crystal beads, 10mm crystal tears and seed beads. Lovely and elegant beaded model. What do you think? Please leave a comment. 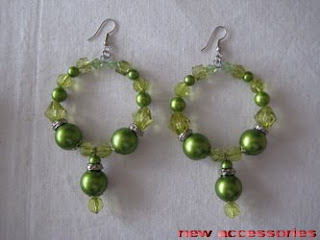 This green bangle beaded earrings are made with 14mm, 8mm, 5mm plastic beads, 10mm, 8mm, 5mm crystal beads. What do you think about this beaded model? 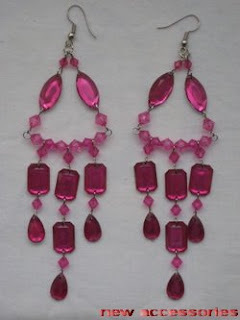 This beaded earrings are made with 6mm, 4mm, 3mm crystal beads, 10mm plastic beads, 8mm plastic tears. 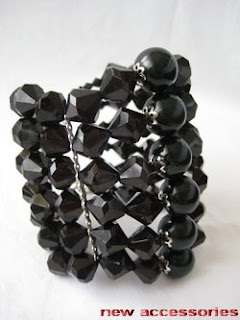 This black beaded bracelet is made with 16mm plastic beads, 14mm, 6mm, 4mm crystal beads. 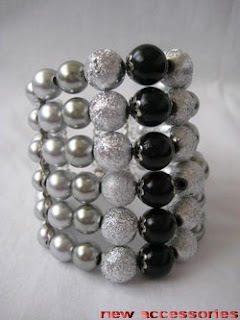 Very beautiful and massive bracelet. Did you like it? Please leave a comment. 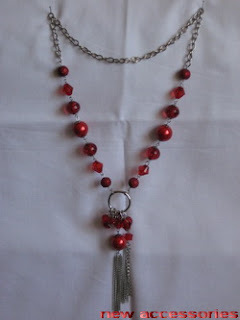 This red beaded necklace is made with 16mm, 10mm, 6mm glass beads, 14mm, 8mm plastic beads, 8mm, 6mm crystal beads, 20mm jump rings. 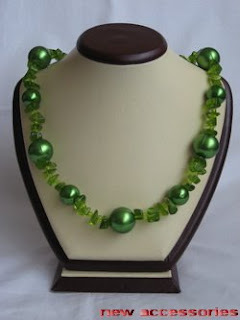 This green beaded necklace is made with 14mm, 8mm, 6mm plastic beads, 10mm, 6mm metal beads, 10mm, 8mm, 6mm crystal beads, 20mm, 10mm jump rings. 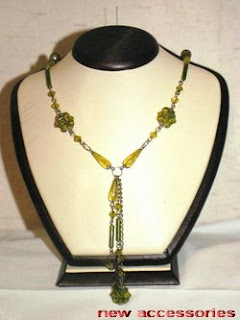 If you like this green beaded necklace, please leave a comment. 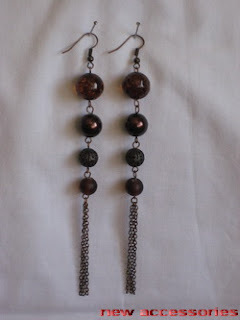 This brown beaded earrings are made with 14mm plastic beads, 12mm, 8mm glass beads, 8mm metal beads. 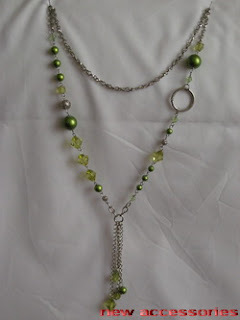 This green beaded necklace is made with 20mm, 16mm plastic beads, green stones and seed beads. 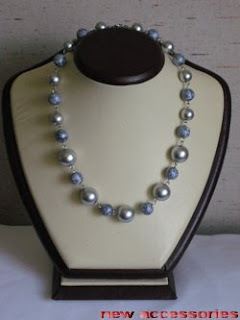 This gray long beaded necklace is made with 14mm, 10mm, 8mm plastic beads,14mm, 10mm, 8mm, 6mm glass beads, 10mm crystal tears, 6mm crystal beads, 8mm jump rings. How did you like this beaded model? Please leave a comment. 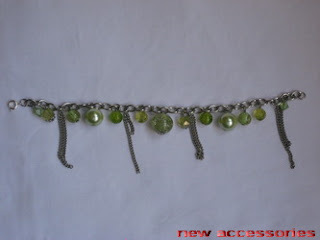 For this green beaded bracelet I used 14mm, 8mm plastic beads, 12mm, 8mm glass beads, 8mm, 6mm crystal beads. 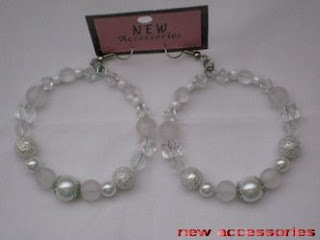 This beaded necklace is made with 14mm, 10mm, 8mm plastic beads, 10mm, 8mm glass beads, 5mm crystal beads, 12mm jump rings. 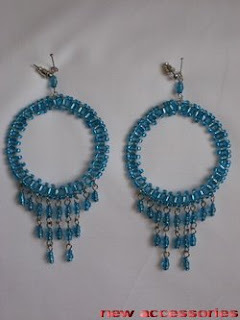 This bangle beaded earrings are made with 4mm, 3mm seed beads. Very beautiful and gorgeous beaded earrings. This are one of my favorite beaded models. This white beaded bangle earrings are made with 10mm, 8mm, 6mm glass beads, 8mm plastic beads, 8mm, 6mm crystal beads and seed beads. Did you like this beaded model? This green beaded necklace is made with big crystal beads ( made with 6mm crystal beads ), 10mm, 6mm crystal beads, 12mm crystal tears, 8mm jump rings. 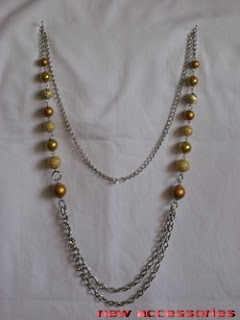 If you have all this beads it is easy to make this necklace. Enjoy in your beading. This long beaded necklace is made with 14mm, 10mm, 8mm plastic beads, 12mm, 10mm glass beads, 8mm jump rings.Did you like this long beaded necklace? Please leave a comment. 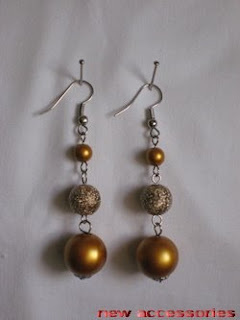 This simply beaded earrings are made with 14mm, 10mm, 6mm plastic beads. Last month there are was a fashion week in my town. 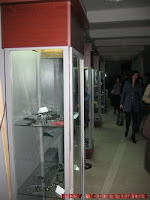 There were a lot of fashion designers from over my country. My peaces were exhibited, so the visitors of this fashion week could seen them. It was a great opportunity for me to present my work in front of the people who were there. 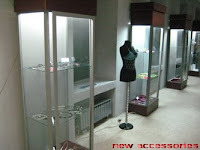 On this photos you can see the ambient. 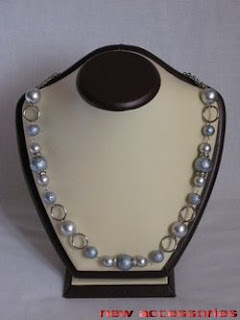 This silver beaded necklace is made with 14mm, 10mm plastic beads. Very simple model. Did you like it? 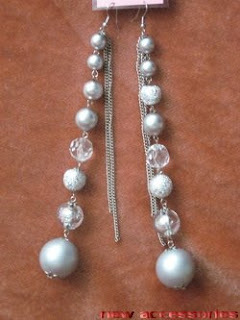 This long silver beaded earrings are made with 24mm, 16mm, 14mm, 10mm plastic beads, 14mm glass beads, 14mm crystal beads. Did you like this very long beaded earrings? Leave a comment. This red beaded necklace is made with 16mm, 10mm, 8mm glass beads, 14mm, 8mm plastic beads, 10mm, 6mm crystal beads, 20mm jump ring. If you like this beaded model please leave a comment. 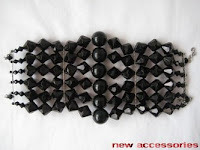 This silver - black beaded bracelet is made with 12mm, 10mm glass beads, 12mm, 10mm, 8mm, 6mm plastic beads, 8mm, 6mm crystal beads and seed beads. 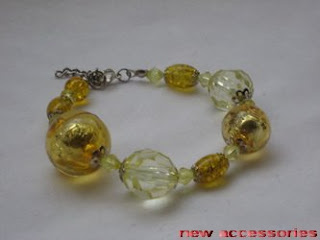 This yellow beaded bracelet is made with 22mm, 16mm plastic beads, 16mm, 6mm crystal beads, 10mm, 8mm glass beads.